Definitions - a list of the most important definitions that you must know for this exam (the most important part of the 530 exam, there are 600+ legal definitions required for this exam). The CPCU® 530 exam is the third CPCU® exam in a series of eight required exams to complete your CPCU® designation. This exam consists of 85 multiple choice questions broken up into two sections, part A and part B. 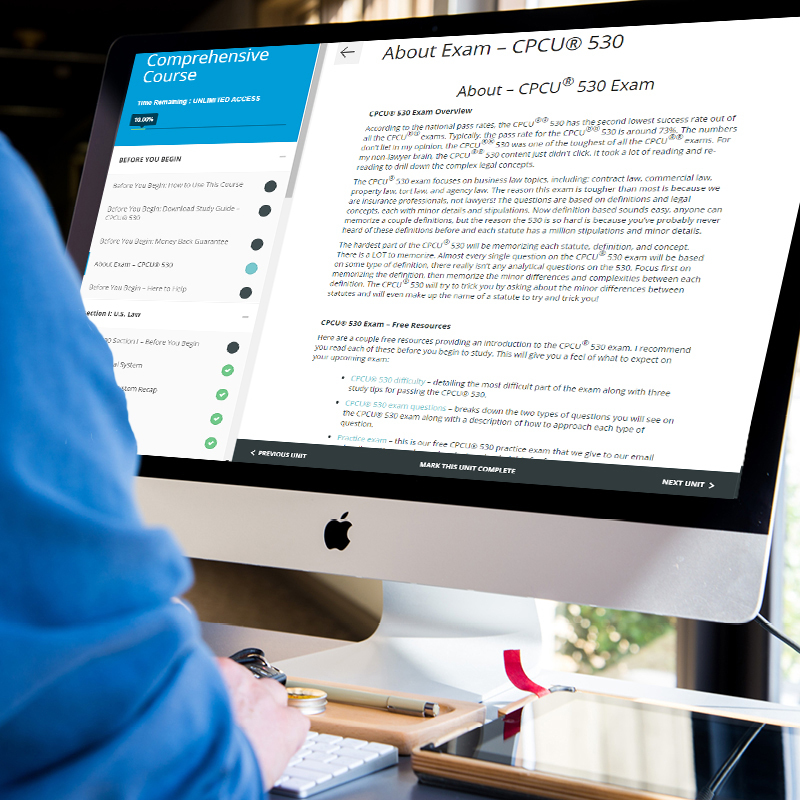 For more info about what to expect on the exam, see our blog about the CPCU® 530 Exam Format. The CPCU® 530 exam focuses on business law topics, including: contract law, commercial law, property law, tort law and agency law. The reason this exam is tougher than most is because we’re insurance professionals, not lawyers! The questions are based on definitions and legal concepts, each with minor details and stipulations. Now definition based sounds easy, anyone can memorize a couple definitions, but the reason the 530 is so hard is because you’ve probably never heard of these definitions before and each statute has a million stipulations and minor details. The hardest part of the CPCU® 530 will be memorizing each statute, definition, and concept. There’s a LOT to memorize. We have personally reviewed the content and counted over 600 legal definitions that you need to be familiar with for this exam. 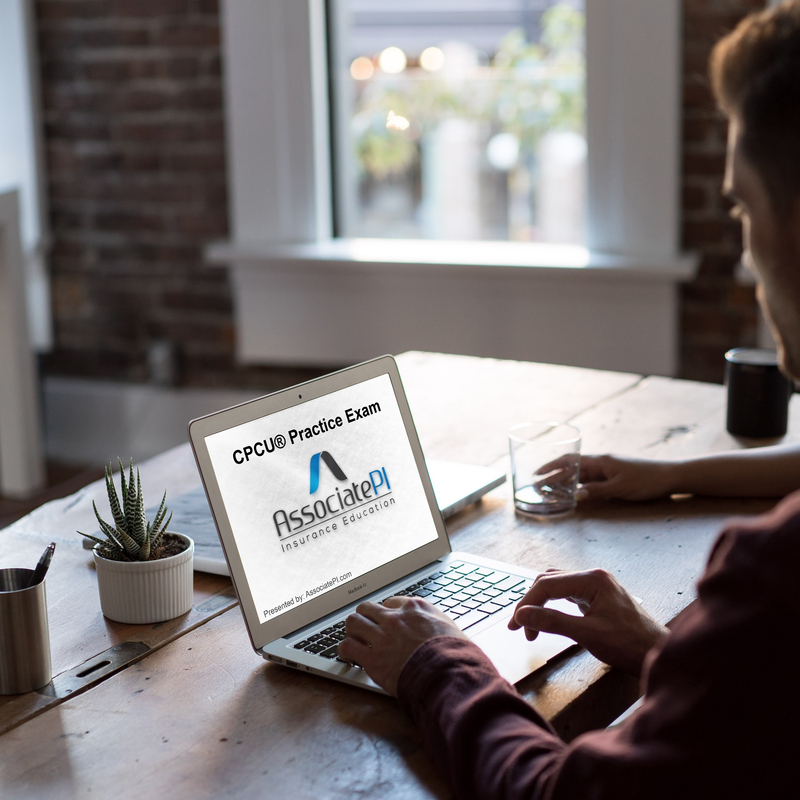 Almost every single question on the CPCU® 530 exam will be based on some type of definition, there really isn’t any analytical questions on the 530. Focus first on memorizing the definition, then memorize the minor differences and complexities between each definition. 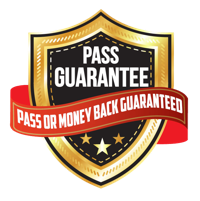 The CPCU® 530 will try to trick you by asking about the minor differences between statutes and will even make up the name of a statute to try and trick you! For more insight, see our blog about the CPCU® 530 Difficulty. Below we are outlining some important CPCU® 530 exam topics. We recommend you master these topics before attempting the CPCU® 530 exam. This is our opinion of the topics that are important on your exam. Torts – we recommend you heavily focus on the torts section, in our opinion this is one of the most important topics of the CPCU® 530 content. Understand the duty of care process, negligence defenses, and types of torts. Business law – we highly recommend you master the topics of business law and employee law. Know the different types of business ownership, duties of a corporation, employment laws, and discrimination laws. There are a lot of laws to memorize in this section. U.S. law – this is covered in the first section. This section is important because the concepts from section one will be referenced by all other chapters throughout the study material. Be sure to understand civil law, common law, the trial process, and the trial vocabulary. For more info about the most important topics and definitions see our blog about the CPCU® 530 Exam Topics. 1) Study each chapter: Treat each chapter like its own textbook. Read each chapter and memorize the definitions as you go, don’t wait until the end to go back through the definitions; you’ll be overwhelmed with the amount you need to memorize. 3) Practice, practice, practice: Take as many practice exam and quizzes as you possibly can. 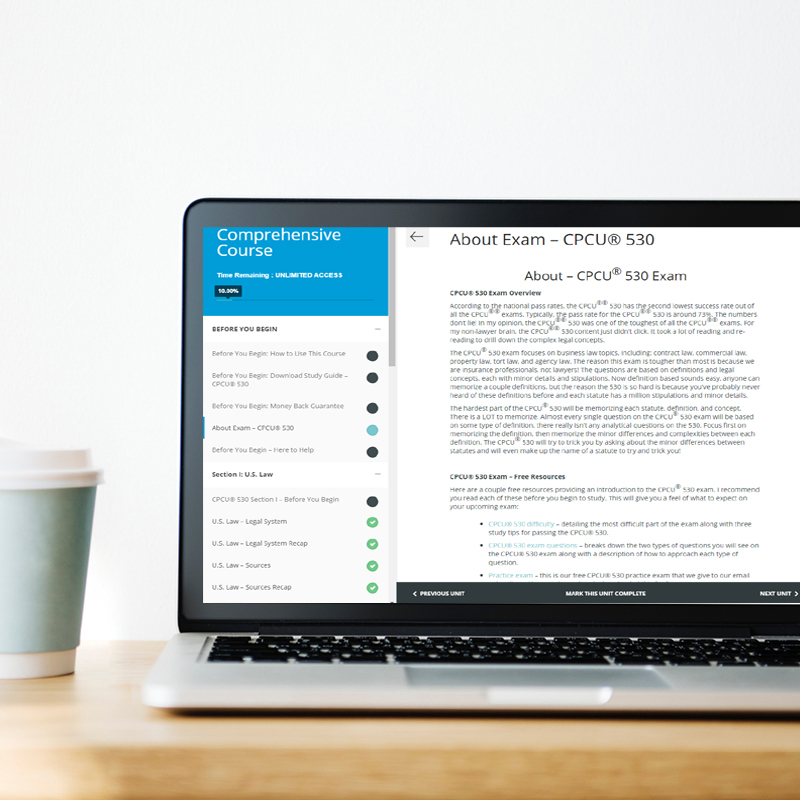 This will help you familiarize yourself with the CPCU® 530 question format and help you determine which topics you need to re-study. Once you go through a few practice quizzes and exams, return to your notes and review any section that you failed.